Ready for a Rustic Retreat! This Cabin is the ideal seclusion. Spacious and full of old Mountain Charm. Large enough to accommodate a big group. Recreation room with Pool Table. 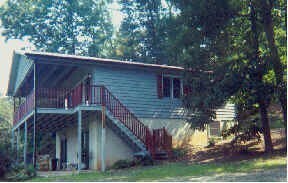 New River Frontage makes this home perfect for your next vacation.